Vision Quest: A Ritual for Elephant & Castle explores the major transitions that have been taking place in the South London neighbourhood. In response to the Council's formal vision and master plan for redevelopment, Coates involves residents from the soon to be demolished Heygate Estate, council planners and developers to evoke an alternative collective vision that considers the complexities and value of what is soon to be dismantled. Vision Quest: A Ritual for Elephant & Castle is one of the outcomes of a residency undertaken by commissioner and producer Nomad and Marcus Coates over 3 years. At the centre of the film is the improvised live rock-shamanic-ritual collaboration between Coates and Chrome Hoof staged within the legendary Coronet Theatre, one of the oldest buildings in the area. 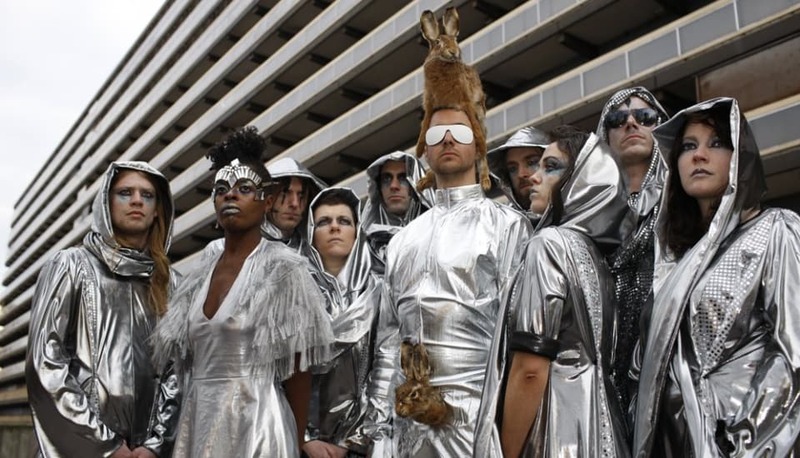 Vision Quest: A Ritual for Elephant & Castle was commissioned by Nomad and features the band Chrome Hoof.